We hold these truths to be self-evident... The simple words that changed the political face of the world forever, were penned by a young Thomas Jefferson in rented rooms at the Graff House in Philadelphia. 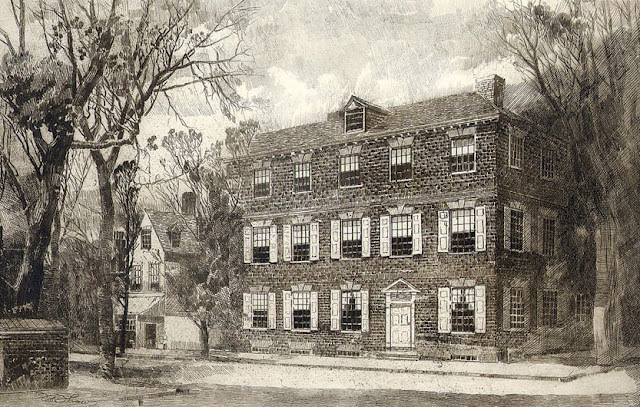 Jefferson stayed in two rooms on the second floor in the Georgian Style brick home on the corner of Seventh and Market Streets, while representing Virginia during the Second Continental Congress. 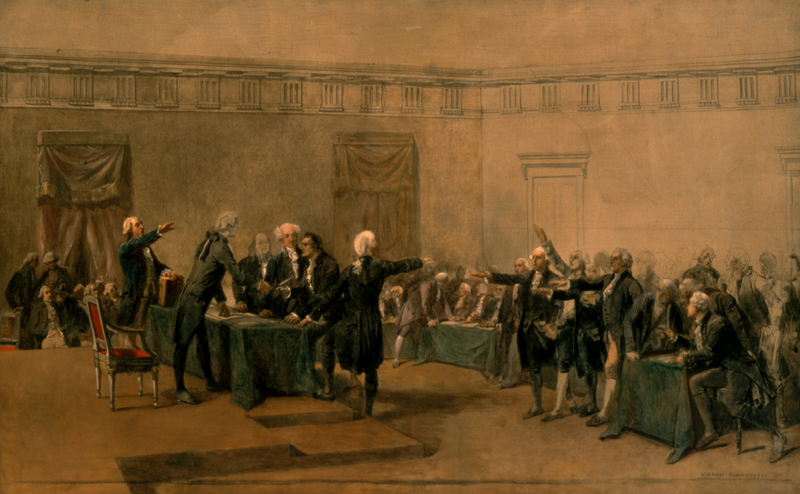 Jefferson was new to the Congress and had not attended the First Continental Congress the previous year. A lot had transpired since the last meeting, including the skirmishes of Lexington, Concord Bridge, and the fall of Fort Ticonderoga to Ethan Allen and the Green Mountain Boys. Despite the exchange of gunfire and causalities on both sides, the delegates were unable to make a full commitment to war with a vote for independence. The delegates had good reason to ponder the decision of Independence carefully. Great Britain was the most powerful nation in the world with the robust military muscle to manage a worldwide empire. The British Royal Navy had over 130 frigates at the ready, while America had no ships of war and in fact, no real official navy. In retrospect, America really had no standing full-time military at all, they had few military weapons, and little funding available to purchase the supplies they would need. Common sense pointed to obvious failure and the wealthy men seated within Independence Hall had the most to lose, including their lives. A vote for Independence was a self admission and full confession for committing high treason against the Crown. During the exhausting debate, a motion was put forth to create a declaration of grievances, listing the reasons why Independence should be the course of action. President of the Congress, John Hancock, decided to forge a committee to create a document that would make the issues on the table more clear, which would hopefully lead to a final vote, once and for all, on the pondering issue of Independence. Members of President Hancock's Committee of Five were chosen carefully from the three regions of the 13 Colonies to ensure equal representation in the proposed Declaration. The group included John Adams from Massachusetts and Roger Sherman from Connecticut to represent the New England Colonies. Pennsylvania delegate Ben Franklin and Robert Livingston of New York served for the middle colonies. The lone southern appointment was Thomas Jefferson of Virginia, who had a respected reputation as a scholar and gifted writer. 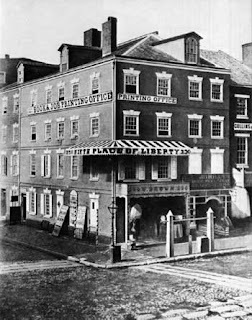 Four of the delegates represented the most powerful of the 13 Colonies with a representative from Connecticut chosen to represent the interests of the smaller provinces. The group independently decided to appoint Jefferson to write the document with the other members in the panel editing the Declaration with agreed upon revisions. At the time, the task of creating the Declaration was looked upon as a chore that would be little remembered... in the course of human events. They couldn't have been more wrong! 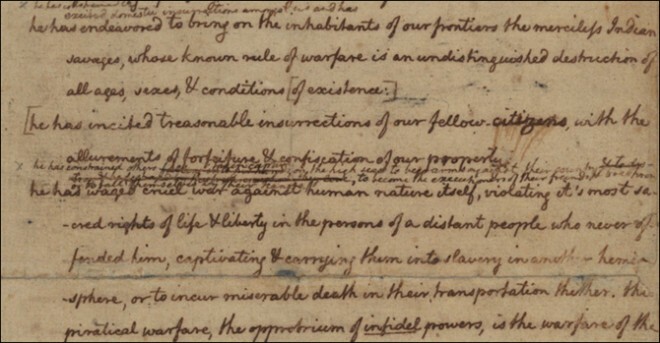 It was Jefferson's burden to capture the meaning of the concept of Independence. His end product was a document that would impact the decision path of the Second Continental Congress and the lives of the American people they were illegally representing. The task was an awesome one. In order to find the words, Jefferson sought solitude away from the center of the city by moving into furnished rooms on the second floor of the Graff household on the edge of town. 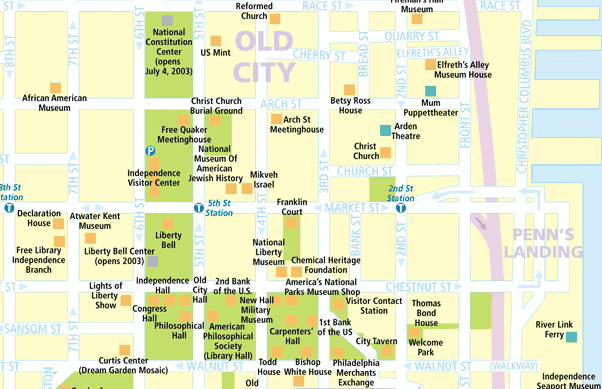 Today it is hard to visualize the busy location as the quiet edge of Philadelphia as it appeared in June of 1776. The rural setting of fields and farms provided a Monticello-like atmosphere for Jefferson to do what he did best... write. 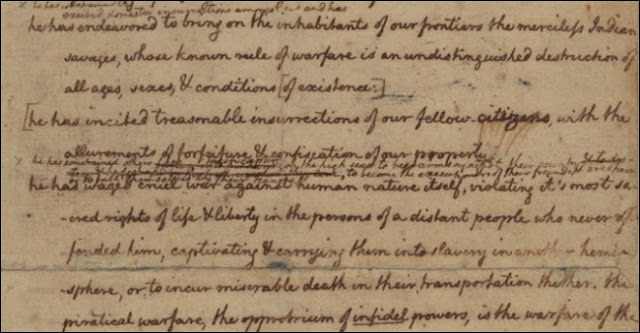 We know from Jefferson's rough drafts that the declaration was a difficult work in progress with many rewrites and revisions. The entire process took three weeks from start to finish. Jefferson said little as the other members of the Committee of Five edited his words and revised his thoughts. Much to Jefferson's disappointment, his committee colleagues, none of whom owned slaves, removed his statement within the Declaration condemning the institution of slavery. 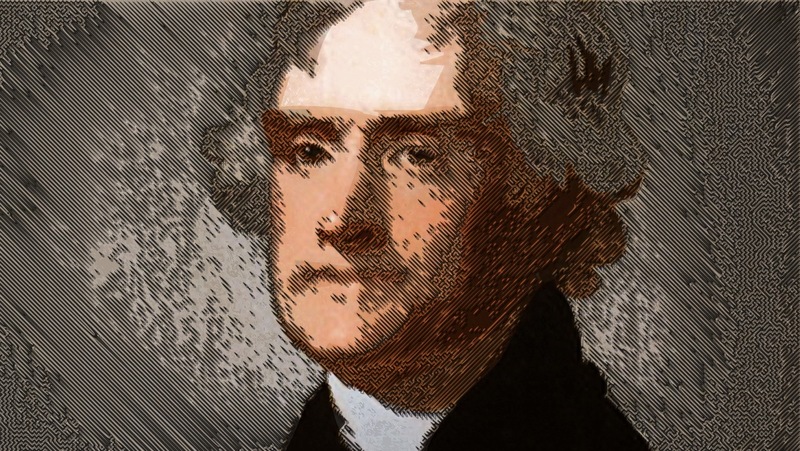 Thomas Jefferson was a man consumed by conflicting principles throughout his life. 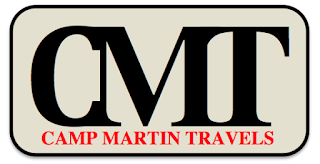 He hated the Peculiar Institution but owned and depended on slave labor to support his livelihood. He did not believe in carrying financial debt and yet he was often deeply in debt. It was said that the only thing the impressive Monticello plantation wasn't... was profitable. He hated politics yet would be pulled away time and again to reluctantly serve in political office, later including two terms as the third President of the United States. Jefferson had always desired to become an academic scholar like the famous men he admired and displayed throughout his home in the form of portrait and sculpture. However, it was not to be and in some ways he became what he detested most. However, he showed the world his gifts of thought, expressed in documents, including the Declaration of Independence. His powerful words would change the future path of the world in ways he never could have imagined. The decision to remove Jefferson's condemnation of slavery from the Declaration of Independence was a political decision of geography and economics. Thus far, the conflict between America and Great Britain was a northern fight centered mostly in Massachusetts. If the vote would pass for the support of Independence, the northern colonies had no chance of victory without support from southern colonies. The idea of bringing an open debate on slavery onto the floor of the Second Continental Congress was counterproductive to their end purpose. The southern colonies would never support a cause that would put the foundation of their future economic vitality in jeopardy. Benjamin Franklin hoped the institution of slavery in America would follow the example of Europe and slowly fade from existence. As tobacco markets flooded with product and the price continued to fall, the dependence for slave labor fell with it. A decision was made not to make an issue over something that would hopefully dissolve by itself with time. However, the future introduction of cotton as a new southern cash crop would upset the theory. The failure to address the issue of slavery during the nation's birth, would implode in the American Civil War 85 years later, ending in the deaths of an estimated 600,000 Americans. 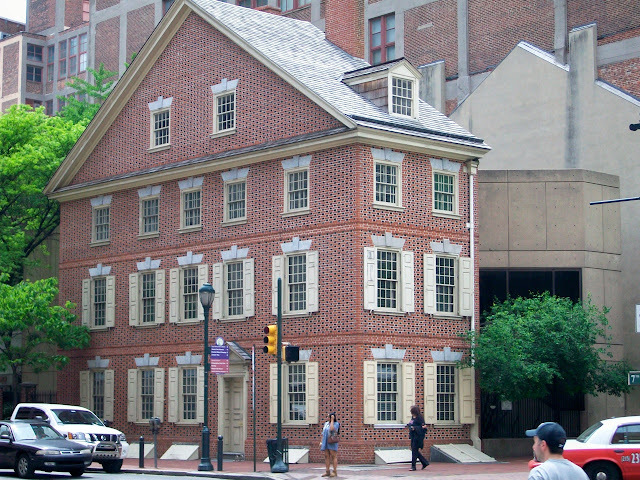 The Committee of Five presented a copy of the Declaration of Independence to members of the Second Continental Congress at Independence Hall in Philadelphia on June 28, 1776. A fevered debate erupted within each individual colony on what the final position should be when the time came to officially cast their single collective vote. The first vote was tabulated with eight colonies voting "Yes" for Independence, Pennsylvania and South Carolina voting against it, Delaware's two delegates disagreed and were split equating to a no vote, and New York did not have permission to vote at all from their colonial assembly back home.. so they abstained. Internal conflicts prevented Georgia from sending a delegate to the Second Continental Congress until July 20, 1776... so they were out of it. Talk about complicated! They decided to table the motion and vote again the next day, time enough for some political maneuvering, bargaining, and dealing. The more things change, the more they stay the same! Looking back, it seems like they would continue to vote until they achieved the desired outcome of the majority present, time for all to jump on the band wagon! The next day they voted again with two opposed members from Pennsylvania abstaining, allowing the colony to support Independence with a 3-2 internal vote. Pennsylvania was now on-board! South Carolina decided to reverse their posted "No" vote from the previous day to a "Yes" vote. In addition, New York finally received the authority to actually cast an official vote from the powers-to-be back home and cast a "Yes" vote for Independence. Only Delaware was on the other side of the fence at Independence Hall, looking very isolated and alone. Delaware's two delegates in attendance were on extreme opposite ends of the debate and their 1-1 tie vote equated to a "No" vote. Caesar Rodney was the third assigned delegate for Delaware, but was back home in Dover attending to government business when he learned of his colony's dual deadlock cancelling vote. He was the deciding vote for the colony yet to be cast and jumped on his horse and rode 80 miles through rain and storms to dramatically arrive at Independence Hall. He was just in time to vote "Yes" and bring Delaware in line for Independence with the eleven other colonies in attendance. 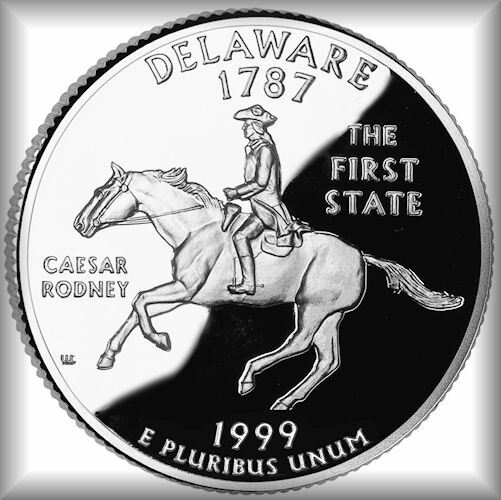 Caesar Rodney's determination to make his vote count earned him a place of honor on Delaware's state quarter, the first created by the United States Mint in their highly collectable 50 State Quarters Series. 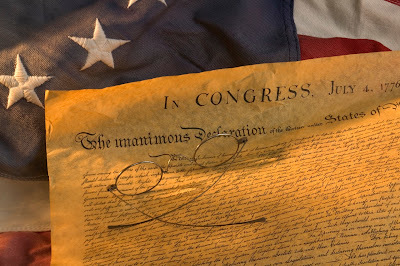 The Declaration of Independence was officially adopted by the Second Continental Congress on July 4, 1776 but most likely may have been signed by the delegates about a month later. President John Hancock had the privilege of signing his name first, making it large enough for King George III to read it without his spectacles. As a result, his famous scripted name later became synonymous with the word signature. One delegate stood opposite of the table holding the Declaration so he could see each delegate's facial expression as they signed what might very well be their own death warrant. Their names were all now a matter of public record, as they openly committed treason and flirted with death. The signature of Stephen Hopkins appears little more than a jagged scratch suggesting fear. However, the truth of the matter was that he suffered from a nervous condition called palsy that caused his hands to shake, making writing difficult. "My hand trembles but my heart does not," he said, as he signed his name to the parchment. 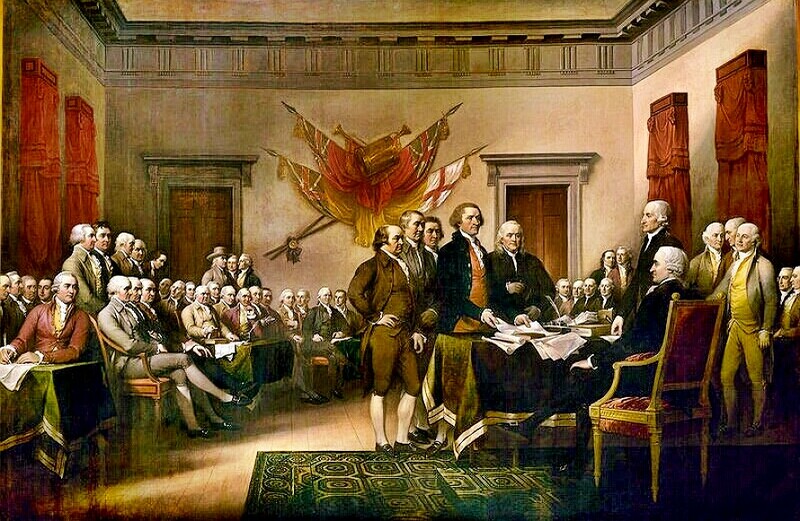 The 56 members who signed the Declaration of Independence became forever known as the sacred fraternity dubbed the Founding Fathers. Over time, the Graff House went through many architectural changes and expansions that made the building almost unrecognizable compared with the original structure of 1776. Eventually the site was torn down in 1883 to make way for the Penn National Bank, including the original Graff house somewhere deep within the expanded four story structure. 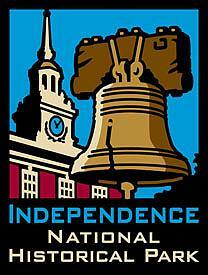 On July 4, 1956 the Independence National Historic Park was created in an effort to preserve and protect a 55 acre area within the Old City and Society Hill sections of the city of Philadelphia. Much of the historic area had been previously built up with commercial properties and many wished open space would be created within the newly designated park. Eyesore buildings and businesses were torn down and removed from view as historic buildings were added to the list to be protected by the National Park Service. Today the area is also known as America's Most Historic Mile because so much history is contained within such a small area. As the Bicentennial celebration approached, many previous lost historic buildings were brought back to life including the Graff House that was rebuilt with help of historic research, including photographs and drawings. Today it is known as the Declaration House and serves as a museum to Thomas Jefferson and the process of writing the famous document. It has since been included within the Independence National Historic Park. The two rooms Jefferson occupied are recreated for visitors but contain few original artifacts with the exception of the key to the front door. The house itself is one of the most narrow I have ever seen in the city and almost appears to be a facade of some kind. Each floor consisted of two long narrow rooms connected by a center hallway and staircase. 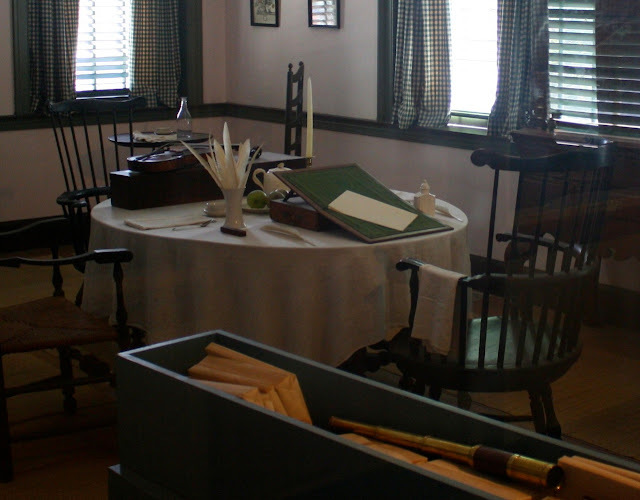 The Declaration House does not have consistent hours and it is best to call in advance to see when it is open to the public when planning a visit. 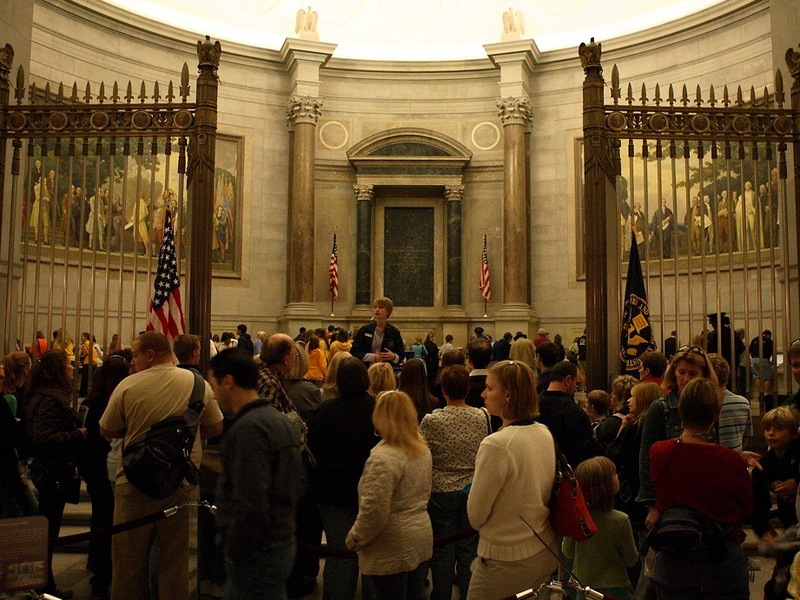 On our next installment of the Declaration of Independence we will travel to Washington D.C. to view the document in person at the National Archives building. See you next week!